Over two thousand years ago, a nobleman’s family lived in luxury. The husband, his wife, and one of their sons were buried in lavish tombs stocked with everything their souls would need to be comfortable in the afterlife. Then they were forgotten . 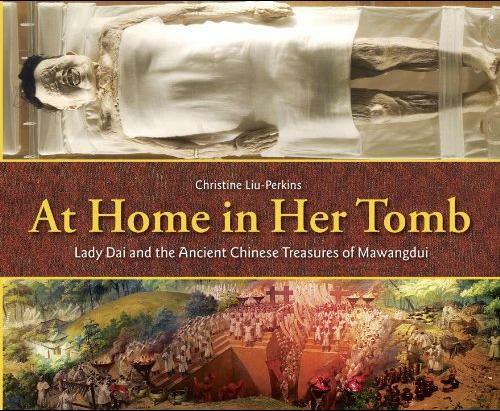 . .
Until 1972, when Lady Dai’s tomb was opened—revealing an amazingly preserved, soft-fleshed body wrapped in layers of silk and encased in nested coffins. The thousands of artifacts in the three tombs of Mawangdui revealed long-lost secrets of life in the early Han dynasty. They changed what we understand of people who lived in the first decades of the Chinese empire, one that rivaled the Roman Empire in territory, population, and power. What do they tell us about the people of that time and place?